So much changed in the span of twelve hours on Tuesday, February 23, 2016. Waking up in the morning, MMA fans heard the news that UFC Lightweight Champion Rafael dos Anjos had broken his foot and his fight with UFC Featherweight Champion Conor McGregor at UFC 196 was off. It was the worst possible news for every fight fan on the planet, and MMA social media went into full-blown frenzy mode in the immediate aftermath, as everyone wondered what the UFC would do. Would McGregor still fight at UFC 196? Would he be taken off the card? Who would he fight? Would it be for an interim title? What weight class would it be at? Would the fight with RDA just be rescheduled? These were just some of the questions asked as fight fans waited in anticipation for the UFC’s announcement. Throughout the day, a number of fighters volunteered their services as opponents for McGregor on short-notice. Former UFC Lightweight Champion Anthony Pettis, who is fighting Edson Barboza in a few months, said he wanted the fight. Donald Cerrone, who literally fought three days ago against Alex Oliveira, said he wanted the fight. 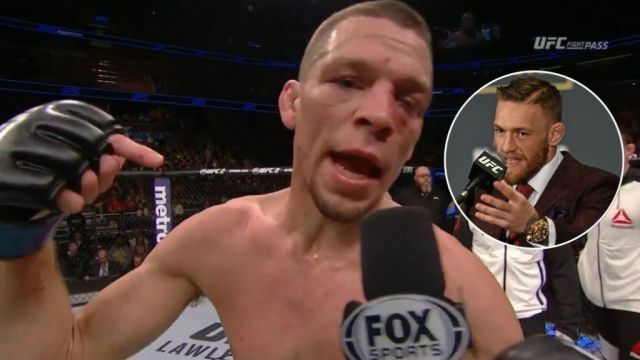 Nate Diaz, who is coming off of a win over Michael Johnson, asked for it. So did Evan Dunham. Even Jake Matthews asked for it. Every lightweight in the UFC is aware that McGregor is their ticket to a big payday, and all of them were smart to throw their names in the hat. 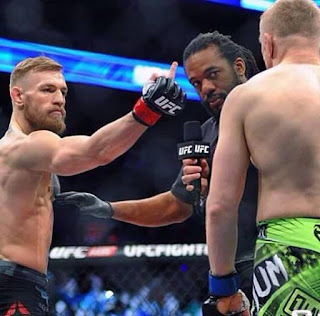 As the day went on, rumors of Diaz being the one to get the fight emerged, and at 11 pm live on SportsCenter, UFC President Dana White announced that Diaz will face McGregor in the main event of UFC 196 in a five-round welterweight fight. No weight cutting will be involved -- instead, two of the most exciting fighters on the roster will fight each other for the fans' entertainment. 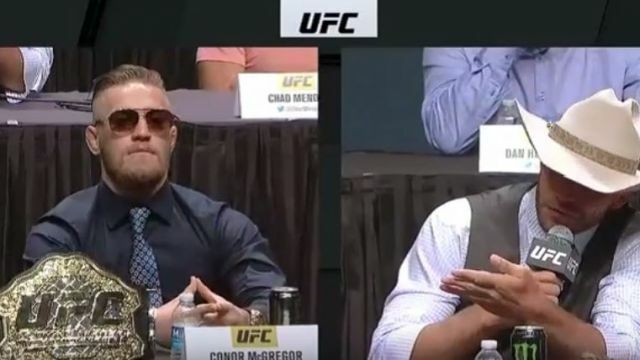 There's no doubt McGregor vs. RDA was the best fight out there, but McGregor vs. Diaz is the best Plan B the UFC could have made. 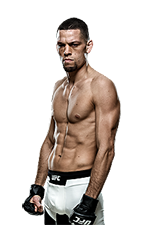 Although Diaz is no longer an elite lightweight, he's still a guy who will put on exciting fights, and although there's less than two weeks left to build up this matchup, there's no doubt the next nine days are going to be replete with trash talking. And that is going to get fans even more excited for the fight than they already are. As far as the fight itself goes, McGregor is the betting favorite, and despite moving up two weight classes for this bout, it makes sense. On paper, he's just a bad matchup for Diaz, who will look to use his volume boxing to hurt McGregor on the feet, since getting the fight to the ground seems like it will be difficult to do. But if McGregor does slip up, and Diaz gets the fight on the mat, the Stockton native will be at a huge advantage, and could possibly land a submission. extremely durable and might be able to survive a bit, but in a five-round, 25-minute bout, it just seems like he's eventually going to go down. Regardless of the outcome of the fight, this is still such a good matchup on paper. It's disappointing that fans won't get the chance to see McGregor make history by winning a belt in a second weight class, but if there was a next-best option, it would be a fight between McGregor and Diaz. This is going to be a lot of fun, and UFC 196 is once again a must-watch event. 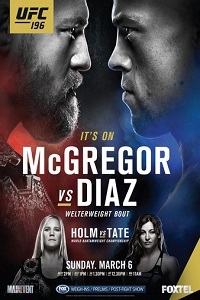 UFC 196: McGregor vs. Diaz (formerly UFC 196: Dos Anjos vs. McGregor, UFC 197: Dos Anjos vs. McGregor) takes place on March 5, 2016 at MGM Grand Garden Arena in Las Vegas, Nevada. Click the stars to rate how good you think UFC 196 will be.